HERTFORDSHIRE, England and PITTSBURGH, Dec. 16, 2016 /PRNewswire/ -- Mylan N.V. (NASDAQ, TASE: MYL) today announced the launch of the authorized generic for EpiPen® (epinephrine injection, USP) Auto-Injector at a wholesale acquisition cost (WAC)* of $300 per epinephrine injection USP two-pack, which is more than 50% lower than the WAC of EpiPen 2-Pak® Auto-Injectors. 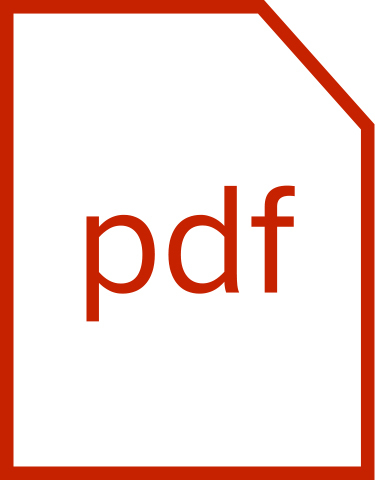 The authorized generic, which will reach pharmacies starting next week, has the same drug formulation and device functionality as EpiPen Auto-Injector, a product that has been on the market for nearly 30 years, and is administered in the same way. Patients and healthcare professionals can learn more at MyGenericEAI.com. Mylan CEO Heather Bresch commented, “Americans are rightfully concerned about rising drug prices, and now more than ever patients and families across this country are standing at the pharmacy counter struggling to pay for their medications. While it is important to understand the outdated and complex system that determines what someone pays for medicine in the U.S., hardworking families don’t need an explanation, they need a solution. This is why we took decisive action with our EpiPen product and have launched the first generic version at half the WAC price. This unprecedented action, along with the enhancements we made to our patient access programs, will help patients and provide substantial savings to payors. “Unfortunately, families will continue to face sticker shock for medications and may be forced to make difficult choices until the pharmaceutical pricing system is reformed to address the increasing shift of costs directly to consumers. Pharmaceutical pricing is too far removed from the patient at the pharmacy counter and not designed for today’s increasingly consumerized healthcare system. Every day, escalating out-of-pocket costs impact a new patient population; however, this broader systemic issue will not be solved in a meaningful and sustainable way by our industry’s one-off, reactive responses. This is an issue that will impact virtually every family on a high deductible plan, regardless of what medicine they are taking. That is why it is critical that all industry participants and government leaders come together to seize the opportunity to make fundamental changes to the system to ensure access to medicine. The authorized generic will be available starting next week through retail channels. Mylan will maintain its commitment to the severe allergy community and will have a salesforce of approximately 275 representatives selling the product. To further increase access to treatment, Mylan has launched an additional patient purchase option at $300 per two-pack. Mylan also is offering a savings card** for eligible patients with commercial health insurance, providing up to $25 off the out-of-pocket cost for the authorized generic. Additionally, Mylan will continue to offer its patient assistance program to support uninsured and underinsured patients. 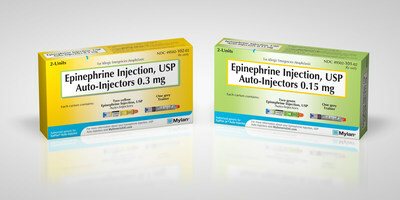 More information about these programs can be found on Mylan.com/EpiPenAccess. The authorized generic for EpiPen Auto-Injector is available in 0.15 mg and 0.3 mg strengths. *The final retail cost to the patient for EpiPen Auto-Injector and the authorized generic will be dependent upon their insurance and any mark-ups within the supply chain. **Eligibility restrictions apply. See Terms and Conditions. This offer is not valid for patients covered by Medicare, Medicaid or any other federal or state funded healthcare program or where prohibited by law. Mylan Specialty L.P. reserves the right to amend or end this program at any time without notice. 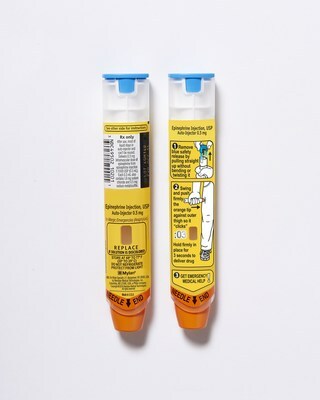 Use Epinephrine Injection, USP 0.3 mg or Epinephrine Injection, USP 0.15 mg Auto-Injectors right away when you have an allergic emergency (anaphylaxis). Get emergency medical help right away. You may need further medical attention. Only a healthcare professional should give additional doses of epinephrine if you need more than two injections for a single anaphylactic episode. Epinephrine Injection, USP Auto-Injector should only be injected into the middle of your outer thigh (upper leg), through clothing if necessary. Do not inject into your veins, buttocks, fingers, toes, hands or feet. Hold the leg of young children firmly in place before and during injection to prevent injuries. In case of accidental injection, please seek immediate medical treatment. Rarely, patients who have used Epinephrine Injection, USP Auto-Injector may develop an infection at the injection site within a few days. Some of these infections can be serious. Call your healthcare professional right away if you have any of the following at an injection site: redness that does not go away, swelling, tenderness, or the area feels warm to the touch. Tell your healthcare professional about all of your medical conditions, especially if you have asthma, a history of depression, thyroid problems, Parkinson’s disease, diabetes, high blood pressure or heart problems, have any other medical conditions, are pregnant or plan to become pregnant, or are breastfeeding or plan to breastfeed. Be sure to also tell your healthcare professional all the medicines you take, especially medicines for asthma. If you have certain medical conditions, or take certain medicines, your condition may get worse or you may have longer lasting side effects when you use Epinephrine Injection, USP Auto-Injector. Epinephrine Injection, USP Auto-Injectors are for the emergency treatment of life-threatening allergic reactions (anaphylaxis) caused by allergens, exercise, or unknown triggers; and for people who are at increased risk for these reactions. Epinephrine Injection, USP Auto-Injectors are intended for immediate administration as emergency supportive therapy only. Seek immediate emergency medical help right away. 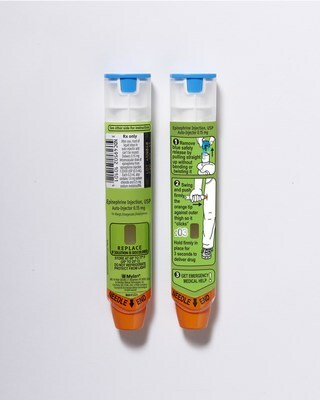 This press release includes statements that constitute “forward-looking statements,” including that the launch of the first generic version of EpiPen®, along with the enhancements Mylan made to its patient access programs, will help patients and provide substantial savings to payors; Mylan will continue to do its part to fight for changes that will make a difference in the lives of patients and remains deeply committed to serving patients in the severe allergy community by working to ensure that everyone who needs an EpiPen has access to one; the authorized generic for EpiPen® will be available starting next week through retail channels; Mylan will maintain its commitment to the severe allergy community and will have a salesforce of approximately 275 representatives selling the product; and Mylan will continue to offer its patient assistance program to support uninsured and underinsured patients. These statements are made pursuant to the safe harbor provisions of the Private Securities Litigation Reform Act of 1995. Because such statements inherently involve risks and uncertainties, actual future results may differ materially from those expressed or implied by such forward-looking statements. Factors that could cause or contribute to such differences include, but are not limited to: any changes in or difficulties with our inventory of, and the ability to manufacture and distribute, the authorized generic for EpiPen® Auto-Injector; the potential impact of any change in patient access; the effect of any changes in our customer and supplier relationships and customer purchasing patterns; other changes in third-party relationships; the impact of competition; changes in the economic and financial conditions of the businesses of the Company; the scope, timing, and outcome of any ongoing legal proceedings and the impact of any such proceedings on our business; any regulatory, legal, or other impediments to our ability to bring our products to market; actions and decisions of healthcare and pharmaceutical regulators, and changes in healthcare and pharmaceutical laws and regulations, in the United States and abroad; our ability to protect our intellectual property and preserve intellectual property rights; expected or targeted future financial and operating performance and results; other uncertainties and matters beyond the control of management; and the other risks detailed in the Company's filings with the Securities and Exchange Commission. Mylan undertakes no obligation to update these statements for revisions or changes after the date of this release. Mylan is a global pharmaceutical company committed to setting new standards in healthcare. Working together around the world to provide 7 billion people access to high quality medicine, we innovate to satisfy unmet needs; make reliability and service excellence a habit; do what's right, not what's easy; and impact the future through passionate global leadership. We offer a growing portfolio of more than 2,700 generic and branded pharmaceuticals, including antiretroviral therapies on which approximately 50% of people being treated for HIV/AIDS in the developing world depend. We market our products in more than 165 countries and territories. Our global R&D and manufacturing platform includes more than 50 facilities, and we are one of the world's largest producers of active pharmaceutical ingredients. Every member of our more than 35,000-strong workforce is dedicated to creating better health for a better world, one person at a time. Learn more at mylan.com. EpiPen® and EpiPen 2-Pak® are registered trademarks owned by Mylan Inc.